Cheese sauce --- 2 qt. Macaroni & cheese, prepared --- 2 qt. Panko breadcrumbs --- 1 qt. Using a #60 scoop, drop mac & cheese into Panko breadcrumbs; roll until fully covered. Preheat a deep-fryer to 350ºF. Fry French fries until golden brown. 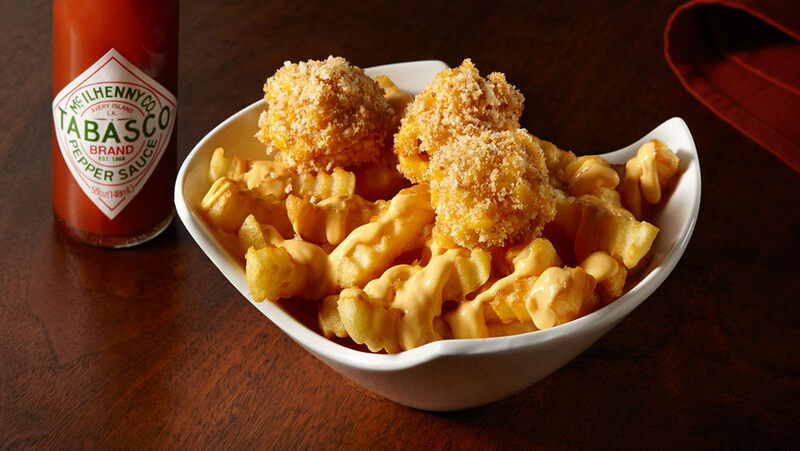 Place mac & cheese balls atop the French fries; spoon hot cheese sauce over top.